I was recently contacted by Obsessed Canada. 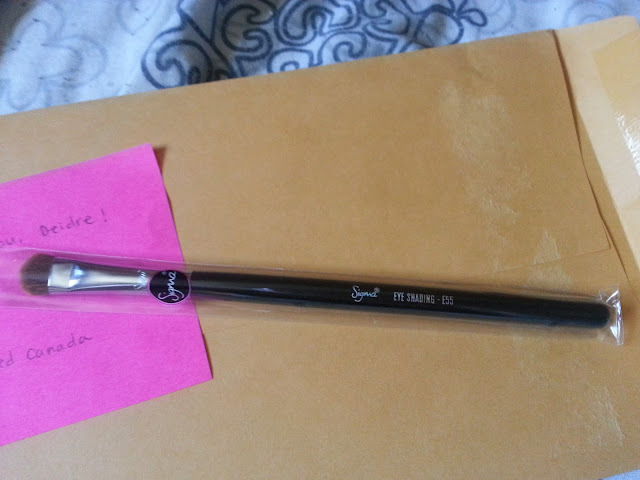 They wanted to share that they had recently started to carry Sigma Beauty makeup brushes on their website, and were sending out a free makeup brush to bloggers who were interested in trying the brand out, and to let our readers know that the brushes were now available to purchase. If you have never heard of ObsessedCanada.com, they are the same owners of NailPolishCanada.com (Only the largest nail polish store in Canada - They have an AWESOME selection!) They provide beauty lovers with a large variety of products of over 125 brands, and 4000 different products. Some of these products are hard to find in Canada (or even to get shipped to Canada) which makes the whole process so much easier. You don't have to worry about crazy shipping costs either. The packaging itself is really simple. It's just a plastic sleeve that protects the brush itself. 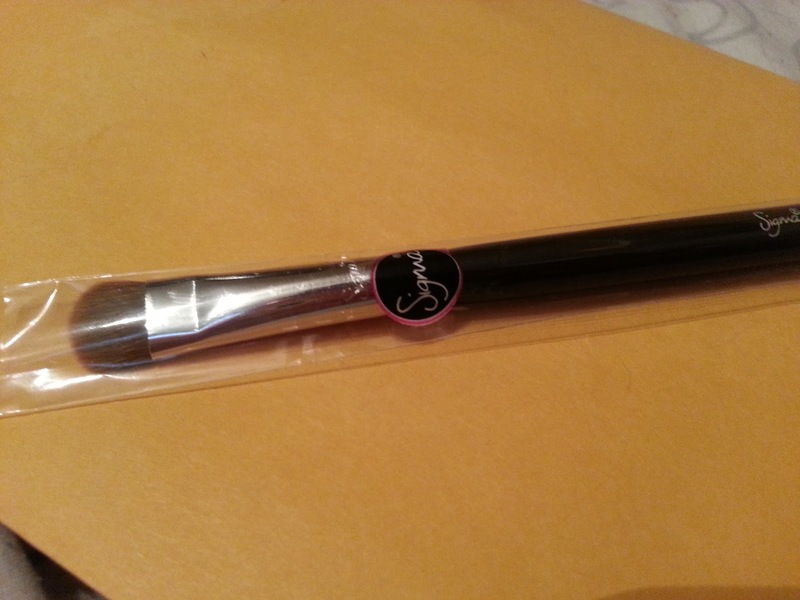 As you can see, the brush is shaped like many other eye shadow brushes. I will say though, that the handle has a good weight to it. It doesn't feel completely weightless. It's not too heavy, it just feels perfect in your hand. As you can see in the above picture, it can really pack on the shadow/powder. 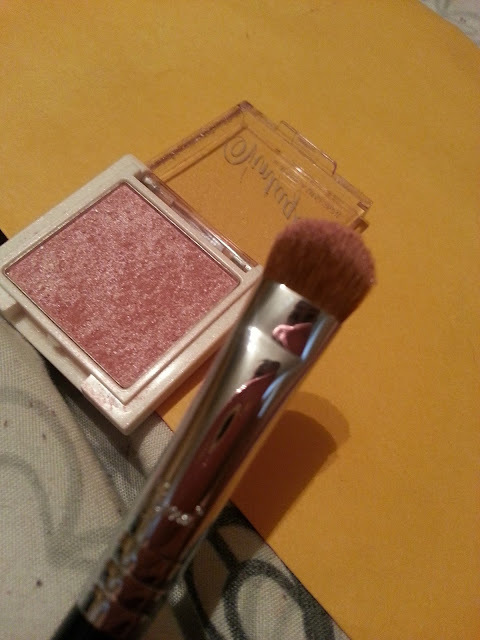 I used this on a highlighter powder that I was applying to my eyes, and it picked up the shadow really well. There was very little fallout. The bristles don't fall out either - which is great. Nothing is worse than applying a powder prodcut, and then you have little brush pieces all over your face for the rest of the day. I really enjoyed this brush. I keep pulling it out to use when I apply my eye makeup for the day. The handle has a good weight to it, and the bristles hold the perfect amount of shadow. 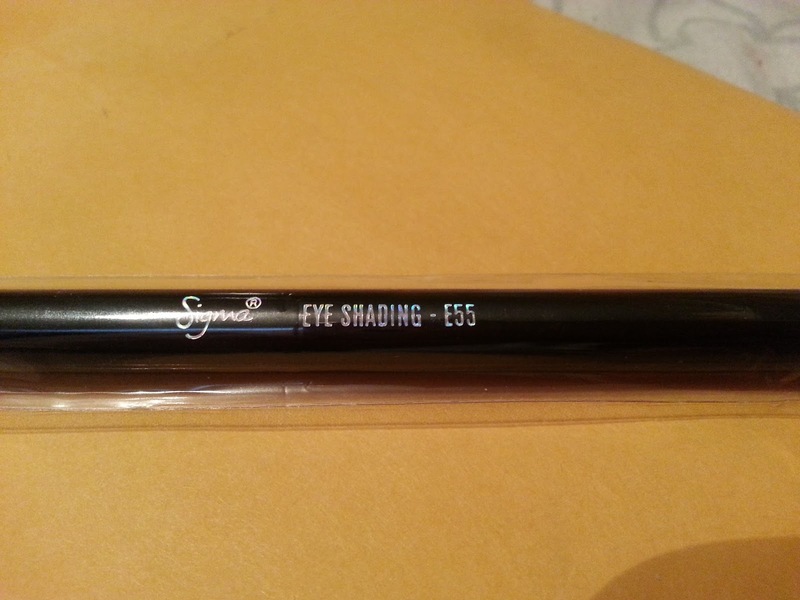 When I need to update the rest of my brushes, I will definitely keep Sigma in mind, and I now know who carries it in Canada. It will be super easy to upgrade! If you're interested in trying Sigma Beauty brushes and you are in Canada - check out www.ObsessedCanada.com - they even offer free shipping in Canada with orders over $25... how amazing is that. No more spending $75+ at Sephora for me!